The name of this church refers to its location outside the Roman wall. 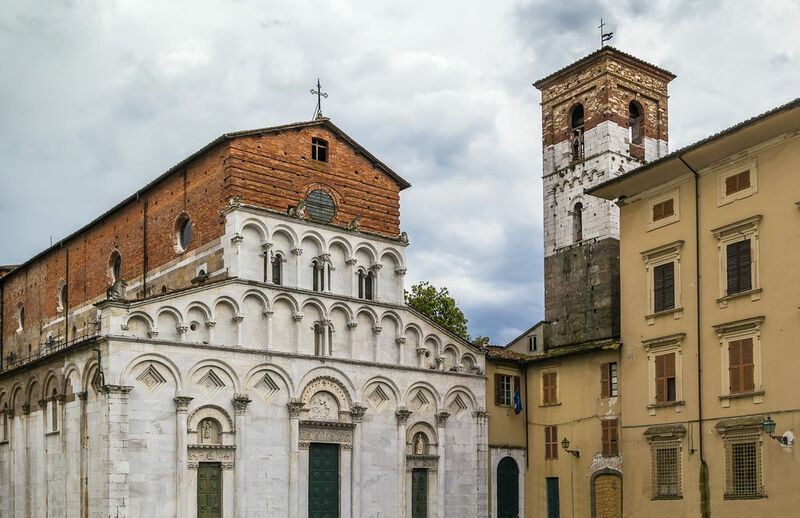 Built in the early 13C, the church boasts a marble façade which is typical of the Pisan style. Inside, note the early-Christian sarcophagus and two paintings by Guercino.